29 episodes of The R-Podcast since the first episode, which aired on January 31st, 2016. I am delighted to bring your coverage of the first-ever Chicago R Unconference in episode 29 of the R-Podcast! I share perspectives on many of the great projects addressed in this unconference, ranging from new metrics on machine text translations to an entire unconference toolbox. Be sure to check the extensive show notes for links to these projects. Plus the return of highlights from the R community, including two newly-funded R Consortium projects. Thank you for listening and I hope you enjoy this episode! 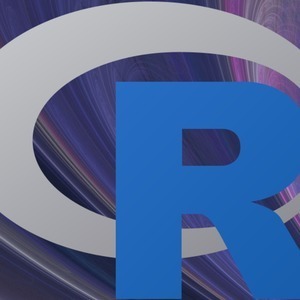 The R-Podcast's coverage of rstudio::conf 2019 wraps up in this episode, featuring a comprehensive conversation with RStudio software engineer Max Kuhn! We discuss his vision for the tidymodels ecosystem of modeling packages, lessons learned from continued development of the caret package, and candida advice for how the life sciences industry can utilize R effectively in new workflows. Plus I share some of my favorite gems from the excellent array of conference talks and posters. Thank you so much for listening and hope you enjoy this episode! The R-Podcast rolls along with part two of our rstudio::conf 2019 coverage! In this episode I share the advice and tips I used to prepare my talk on Shiny Modules. Plus I sit down with RStudio software engineer Rich Iannone to learn about his journey from atmospheric science to creating a collection of awesome R packages like DiagrammeR and gt for creating tables with a tidy syntax. As always thank you so much for listening and hope you enjoy this episode! In this special episode, coverage of rstudio::conf 2019 begins with a three-podcast crossover! Eric is joined by podcast hosts Hilary Parker (Not So Standard Deviations) and Nick Tierney (Credibly Curious) to discuss their impressions of the conference and thoughts on the future of R. Plus Eric shares his insights from the excellent Advanced R Markdown workshop. Our coverage of rstudio::conf 2018 concludes with another great interview! I talk with Ian Lyttle about his personal journey to using R, the value that shiny brings in communicating with customers, and his new package to ease the pain of working with enterprise GitHub installations. I also discuss my key insights and takeaways from the extending tidyverse training and talks I attended. I hope you enjoy this jam-packed episode of the R-Podcast! The R-Podcast's coverage of rstudio::conf 2018 begins! I have the pleasure of speaking with Romain Francois and Thomas Lin Pedersen. You'll hear Romain's thoughts on the growth of Rcpp and the project that helped him become closer to the R community. We also learn about Thomas' journey to enhancing ggplot2 and the new packages he's developed covering network analyses and dynamic APIs from R. I hope you enjoy episode 23 of the R-Podcast!